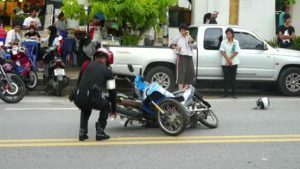 Experts said last month that, on average, 5,500 motorcyclists die annually – or 15 deaths a day,making Thailand the world’s deadliest country for two-wheelers. 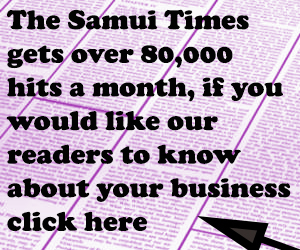 The issue returned to the fore this month after two separate motorbike accidents in Phuket killed a pregnant British tourist and seriously injured another British tourist. “If you take motorcycles out of the equation, Thailand’s roads will be as safe as (those in) Switzerland, the United States and Britain,” Dr Liviu Vedrasco, health cluster chief at the World Health Organisation (WHO) in Bangkok, told The Sunday Times. In a 2015 report, WHO said there were 26.3 motorcycle-related deaths for every 100,000 people in Thailand, the highest in the world. Motorcycles are a common mode of transport for Thais. Last year, they bought 1.74 million motorcycles compared with only 768,788 cars, according to the Thai Automotive Industry Association. In the first quarter of this year, 461,783 motorcycles were sold. 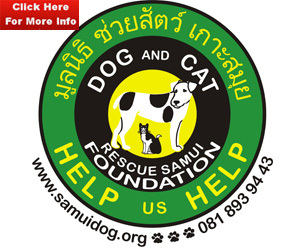 A 2015 study by the Thailand Accident Research Centre (Tarc) said motorbikes are popular for their convenience, low fuel, maintenance costs and affordability. CSIP director Adisak Plitpolkarnpim said the practice of allowing children to ride motorbikes is prevalent, especially in provinces. “Children ride them to school, for fun, or to run errands for their parents,” he said. Under Thai law, those who are 15 years old can get a driver’s licence for vehicles with engines less than 110cc, but Plitpolkarnpim said this is widely violated. Plitpolkarnpim said about 15,800 children get into motorcycle-related accidents annually, resulting in an estimated 700 deaths. Reducing these numbers will take more than a road safety video. The Asia Injury Prevention Foundation (AIPF) starts them young through the Street Wise Programme, which teaches schoolchildren the importance of wearing helmets. Thailand’s helmet law is not strictly enforced, especially in provinces and among pillion riders. AIPF said the government should pay attention to motorcycle riders as most motorbike deaths were due to fatal head injuries among pillion passengers. This road safety awareness video, released by Ramathibodi Hospital’s Child Safety Promotion and Injury Prevention Centre (CSIP) last year, has resonated with many in Thailand, where 73% of traffic-related deaths involve motorcycles.